Warm-up public relations with this superior sun product in a 2oz. 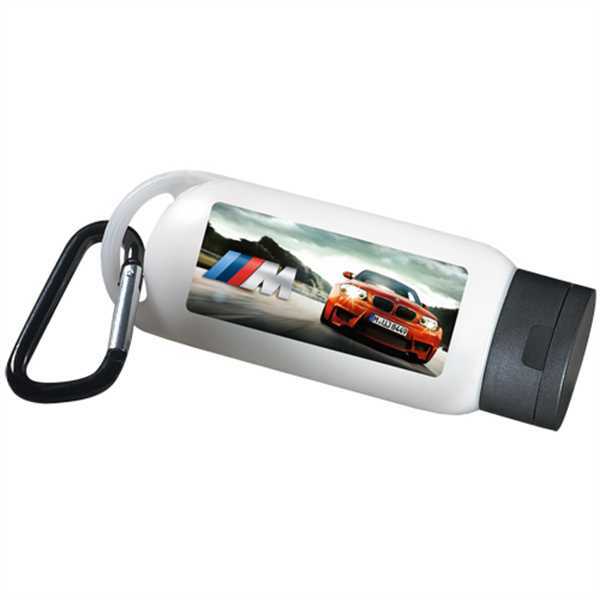 bottle with a carabiner clip. SPF30 sunscreen is water-resistant Sunscreen and is Bio-degradable. Sweat-resistant, dry non-oily feel. Recommended for dry/normal & mature skin types.